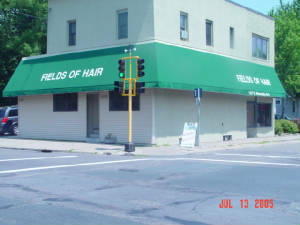 Operating a service business is not easy, here at Fields Of Hair we work hard on complete customer satisfaction. Our business was established in 1995, and we pride ourselves on providing customers with high-quality service. Our shop is conveniently located near the St.Paul Midway Shopping Center. Providing good service means taking the time to listen. We will work with you every step of the way to make sure you receive the services you need. Our business is client-oriented.